Paul asks Gail to do a promo video for Lassiters. Jane transforms back into Plain Jane. Amanda thinks Jane's appearance is a huge improvement. 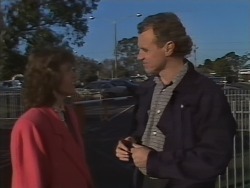 Jim tells Helen his weekend in Adelaide was hectic but he's very happy. He's busy now though, working on his new workshop project. 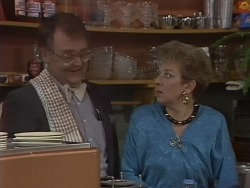 He has time to tell Helen all about Beverly though - apparently she has secrets. She ran away from a man in a shopping centre in Adelaide, and she's been getting phone calls at the surgery from a mystery doctor. Helen advises him that a woman with a past is much more interesting. 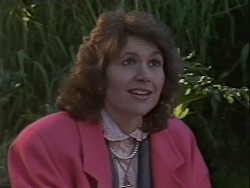 Their chat is interrupted by Gail who wants Helen to appear in her video, in her Home James uniform. Helen agrees. Gail and Mike are planning out the final details for their shoot. Gail wants Mike to ask Jane to front the video and Paul agrees that she'd be perfect. Until she walks in that is. They all stare at her and she is offended. She insists that no-one has any right to comment as long as she does her job okay. Cue raised eyebrows all round. 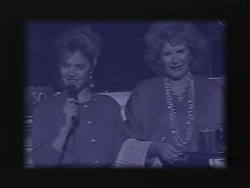 Gail is reluctantly forced to take on the job of presenting the video. Bev tells Amanda her mother is making excellent progress and will possibly be released by the end of the week. Amanda remarks she probably knows how much the bed is costing. Beverly warns her that she'll need lots of attention when she is released - for as long as it takes to get better. Amanda goes off and Jim appears to ask Bev out for dinner that day. 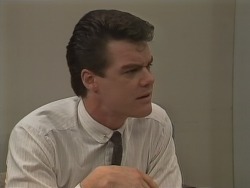 Henry asks Paul if he needs any more help with the video, but Paul says he'll have to see Gail. Jane comes into the office in her new drab gear and Henry laughs that on the day when everyone else is dressed in their best gear they've made Jane dress up as an old woman. She snaps and tells him to keep his lousy opinions to himself. It's Helen's turn to be interviewed, as Madge brags about how well she did - until Mike reveals how many takes it took. As Helen is interviewed Eileen “accidentally” wanders into shot, again. Gail takes her aside and tells her she's not being fair to anyone getting in the way like this. Eileen relays all the musicals she's been in and Gail tells her if she gets in the way again, she's out of the whole thing. It floats over Eileen's head like water off a ducks back. 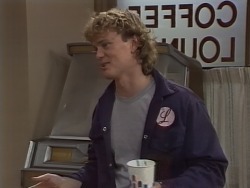 Jim and Bev take ringside seats at the coffee shop so they can be in the movie too. Henry chats to Mike about how things are going and says he thinks he should be in some of the shots of the grounds, to make them more interesting! Beverly and Jim order their meal, then Bev asks Eileen if she can interview her for a paper she's writing. Eileen is delighted until she finds out that the paper is on the aging process! Harold is chatting up some old bid who's staying at the hotel. He panics as the cappuccino machine blows a gasket and accidentally knocks a pot of coffee over Eileen's arm - she is distraught as the camera is arriving any minute. First though, Jane and her mum arrive for lunch and Charlene, in her best frock, takes one look at Jane's new make-over and does a runner into the kitchen. Eileen goes over to serve them, carefully hiding her wet arm behind her back. Harold asks Amanda to move her coat because of his allergy so Jane tries to take it through to the kitchen (how hygienic!). Amanda refuses to let it out of her sight and hangs it up by the door. Gail is exhausted and tells Paul that making the video is harder than it looks. He is sure it will be worth it. She tells him she wants to end the movie with an interview of him. He won't do it, so she tries to persuade him - at the moment it's no better than a home movie. Arm firmly twisted, Paul agrees. Gail runs out promising him he won't have to wear much makeup. Amanda asks Jane to take time off work because there's no way she'll be able to look after her mother on her own when she gets out of hospital. She asks for the bill, then realises her coat is missing. Eileen helpfully holds up “a piece of purple nylon” and Amanda cries that her coat is a full length mink. Harold starts wheezing at some lady's bag and Amanda insists her coat must be inside, despite the fact that the bag would barely fit an arm of her coat inside. The owner protests strongly but Amanda forces it open, to find a cute little dog inside. In despair she admits to Jane that it isn't her coat being missing that bothers her - all her money was inside.